March 6, 2019 By Linda Henman, Ph.D. When companies merge or acquire, stakeholders rightly expect the whole to become greater than the sum of its parts. Unfortunately, this happens less than half the time. Not only does one plus one not equal three; too often mergers and acquisitions result in losses. A once exceptional organization can quickly take a turn toward mediocrity, or worse. Study after study puts the failure rate of M&A between 70% and 90%. Many researchers have tried to explain these abysmal results, usually by analyzing the characteristics of deals that worked and those that didn’t. That’s a start, but it only informs decision-makers about the features of the deals that caused or prevented failures. 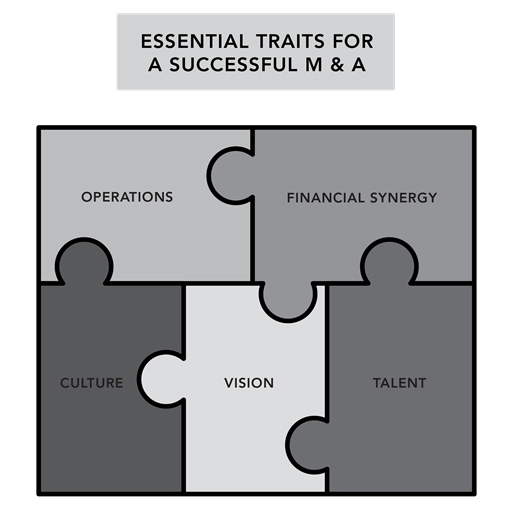 Statistics don’t truly get to the core of the cause–effect relationships among planning, evaluating, and integrating—the essential traits for successful M&A. Deciding whether to do the deal presents the first round of tough calls, decisions about integration, the second. In the heat of finalizing the deal, board members often leave integration until the last minute or give it short shrift. Board members need clarity about what they should consider when they attempt to align two disparate organizational environments, histories, and cultures. When leaders make the decision to merge or acquire, board members know the stakes are high, and they also understand that they can set the stage for success. Too often, however, these same board members inadvertently invite dilemmas and disasters to come from the wings to take a bow in the spotlight. Why does this happen? Because the same board members who influenced the initial decision to merge or acquire stop making the necessary tough calls to make the deal work. Realizing the dire consequences that can result, why would sane board members choose to place themselves and their companies in the line of fire? The answer to this question starts with the leadership team and the board agreeing about why they want the deal, but then things get more complicated. The senior team, who must make the deal work, need to know why, and they need to be enthusiastic about the answer. Then, members of this team need to test their conclusions with key groups and stakeholders. Otherwise, everyone involved will lose the energy needed to make the deal work. In these situations, companies end up with a plethora of props but no performance. Our reputation in the industry will skyrocket. We will attract top talent. We will enjoy better financial results. A combined organization will better position us to compete. The desire to amass data to authenticate gut feelings often serves as a powerful motivator—even more so because people don’t admit why they want the data. They feel the urge to believe, feel, and act in ways that others also believe, feel, and act. 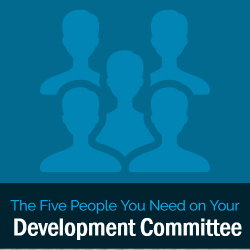 Board members tend to be smart people—smart but also emotional. Their emotions guide them, but frequently they fail to analyze or talk about their emotional reactions—all the while hoping that logic will prevail. Board members who possess a Merger Mindset balance logic with insight. They have a clear read on how others are responding or likely to respond. They react positively to change, control their own fears, and try to mitigate the negative reactions of others. We can deny the emotional aspects of a deal, laugh at them, or ignore them, but these reactions create the path to perdition—not to good deals. What Makes a Nonprofit Deal Different? In contrast, the researchers also uncovered several thoughtful, well-planned, and strategically-driven deals that resulted in more services and greater growth. 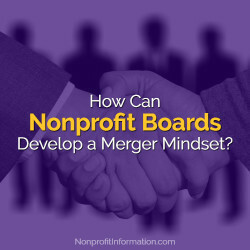 They noted that the successful merger of mission-based organizations resulted in the expansion of their impact, which they advised should be the goal of all nonprofit organizations and should provide incentives for boards to explore mergers as a strategic option. For instance, in 2013, United Cerebral Palsy of Greater Chicago merged with Seguin Services, creating UCP Seguin Chicago. The two shared a common mission of service to the disabled. Combining their separate competencies resulted in robust growth in both revenues and services. Similarly, the 2015 merger of three Chicago area hospice providers created the largest hospice provider in Illinois, JourneyCare. The three geographically neighboring providers pooled their resources, expanded their collective customer impact, and gained a competitive advantage in an industry where for-profit providers had greatly expanded. In each of the twenty-five cases the researchers studied, the companies employed different merger strategies for pooling their resources for greater collective impact or for combining their competencies to grow in new or different markets. Organizations that don’t take a strategic approach to an M & A deal risk creating unintended consequences, however. That’s what happened in Maine. Beginning in January 2019, MaineHealth became a single nonprofit entity with nearly 19,000 employees and more than $3 billion in annual revenue. MaineHealth joined a long list of hospitals that have merged to form large healthcare systems. According to the American Hospital Association, of the more than 5,500 hospitals in the United States, nearly 60% are part of a health care system. In many cases, a single board of trustees govern the large systems. From a purely strategic point of view, successful large healthcare systems can reach economies of scale, share resources, reduce cost, and leverage their increased revenue to attract physicians and purchase the latest medical technology. From a mission-driven standpoint, however, the news isn’t all good, with rural hospitals facing the greatest challenges. Since 2010, The Cecil G. Sheps Center for Health Service Research has recorded 87 rural hospital closures in more than twenty states. According to one study, more than 600 additional hospitals in 42 states are vulnerable to closing, with 12 million patients losing direct access to care and about 99,000 jobs at stake. 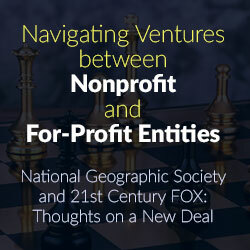 In short, nonprofit deals are more complicated because they must consider the Five Essential Traits of a Successful Deal with a robust focus on how these traits march in lockstep precision with the organization’s mission. A simple but clear vision helps everyone see where you’re going—a critical first step in formulating strategy. It defines what you want in the future; it inspires, motivates, and challenges. In conjunction with your organization’s values, vision helps you take a stand on all sorts of issues, including ethical ones. Before discussing the organization’s vision, however, board members do well to revisit the mission to avoid the aforementioned unintended consequences. The mission clarifies why the organization exists; the vision identifies where the organization intends to go; and the strategy specifies what everyone must do to head into that ideal future. Vision comes from the mission, and strategy (which is shorter term and more specific) comes from both vision and mission—or at least it should. Thinking about an organization’s future and imagining potential growth does not involve a tough call—at least not initially. Organic growth can happen slowly and deliberately, an approach that tends not to demand too much change too fast. It has an advantage in that people don’t usually fear organic growth. Nor do they need advanced critical thinking skills to formulate tactics for it. Even a little experience will serve to help replicate what you’ve done in the past. If the growth honors the mission of the organization, integrity issues typically don’t appear. Decisions related to this kind of strategy formulation don’t usually involve tough calls—neither initially nor eventually. That may seem like a relief, but great board members consider this safe zone more imaginary than real. 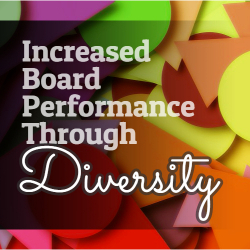 A current rate of unacceptable growth is one reason board members look to merge or acquire. When they do, the decisions they need to make will change markedly, and the speed at which they need to make them will accelerate. Most board members find embarking on such a strategy far more challenging after many years of reliable, though slow, growth. When considering an M&A transaction, decision-makers will face a particularly tough set of decisions about people. While an organization may have many excellent people upon whom they can rely in the short run, their reliability does not guarantee future success. Of course, decision-makers will evaluate people in the usual ways—looking for evidence of a strong work ethic, high integrity, and effective interpersonal skills—but because deals tend to make things more complex, they will need to demand higher-caliber decision-making among the talent in the new organization. A key attribute that differentiates those who will succeed from those who will not involves the ability to discern. People with a keen ability to discern see patterns, anticipate consequences, and solve the complicated problems a deal invites. They have a finer ability to distinguish critical issues from unimportant ones, and they don’t easily lose sight of why things need to happen. They differentiate, detect, and determine the tough calls they should make and the essential criteria they must use. While important in all situations, the powers of discernment show their value most clearly in high-stakes situations such as M&A. Brilliant talent, a breakthrough product, dazzling service, or cutting-edge technology can put you in the game, but only rock-solid execution of a well-developed strategy can keep you there, especially after a deal. You must deliver—to translate your brilliant strategy and operational decisions into action. Your stakeholders will wait impatiently for these results, and they will usually fear the worst. Therefore, you must make things work—quickly. Even very smart board members, in an effort to improve slipping performance, address the symptoms of reduced performance, not the root causes of it. Meanwhile, as they look around to determine which changes they need to make, people in the organization get nervous. Nervous people are distracted people. Before you know it, they don’t have eyes on the ball. Rather, they abandon their roles as star players and assume that of umpire or critic—two roles you don’t need at any time. A focus on what’s going wrong instead of why you’re experiencing problems never works. Too often, people get distracted by emotions when they should search for logical explanations. Successful deals start with a strong investment thesis—a clear objective about what the organization wants to accomplish. Clear strategy leads the process; great performance completes it. However, we often get confused. We over- and misuse strategy to describe anything important, and strategic planning becomes an oxymoron. Senior leaders and board members formulate the strategy; they plan the execution—or at least the successful ones do. Execution involves discipline, requires senior leader involvement, and should be central to the organization’s culture. Done well, execution pushes the organization to decipher their broad-brush theoretical understanding of the strategy into intimate familiarity with how it will work, who will take charge of it, how long it will take, how much it will cost, and how it will affect the organization overall—and the customer, most importantly. Operating plans often masquerade as strategic plans. Strategic planning too often involves a list of goals or set of tactics from which it is impossible to derive solid decision criteria. In a newly merged organization, you don’t want your operating plan to concentrate on the past—to focus on the reflection in the rearview mirror. After all, at whose past would you be looking? And to what end? Furthermore, you will seriously undermine your ability to see the future. You’ll create an image more like the one you’d see in a fun-house mirror than an accurate reflection. Instead, your operating plan should resemble a kaleidoscope that exhibits various symmetrical patterns reflecting the loose bits of information you have aggregated. As you rotate the kaleidoscope with new information and contingencies, new patterns and answers will appear. If you focus on the bits, you see chaos. But look at the bigger view through the kaleidoscope instead, as if it were a strategy. Then, you can tolerate the disorder and still see the picture that emerges. Some refer to “incompatible business models” undermining a deal, but what does that really suggest? It means the companies make money in different ways, perhaps doing things differently than board members initially thought they did. If board members don’t recognize and understand these differences, joining the two companies will prove challenging, costly, and probably ill-advised. If you don’t understand how the other organization makes money, you can’t assess the feasibility of its growth plans. Further, board members who overlook critical questions about the financial feasibility of decisions develop overconfidence. Overconfidence is a key reason that financial performance post deal often disappoints. In fact, overconfidence about future revenue and overly ambitious goals for cost control and synergies do more than just disappoint. Too frequently, they also create a path for struggle and conflict. On the other hand, the ability to paint an accurate picture of revenue and rate of growth is the single most important factor in evaluating acquisitive success. Even small changes in revenue can outweigh major planned cost savings. Similarly, a drop in sales immediately after an acquisition can have dire consequences, not only for the obvious reasons but also for less apparent ones, such as suspicion among customers, employees, and suppliers. Combined companies find regaining lost momentum far more difficult than preventing it from the outset. Even when board members have engaged in a financially solid deal, during the integration stage, they find their attention drawn inward. But that’s not where you’ll find the customer. When a deal fails, too often culture takes the blame. Many view culture as some sort of complicated, abstract, nebulous force. It’s not, but research indicates more than 80% of board members don’t have a firm grasp of the culture that exists in the organizations they serve. While culture plays a role in any major transaction, the cultural differences that derail M&A deals have more to do with beliefs about the ways the companies make money and less to do with customs and interactions. Tough calls—good, bad, but especially those unmade—explain more about how deals turn out. Decision-makers need to think about and address the type of culture the newly formed organization will need to create in order to achieve its objectives. Board members must be prepared to make decisions about both the culture and the type of person who will fit into it. To prevent this scenario, ask yourself, “Do we currently run the existing business well enough to sustain the strain of integrating another?” If the answer is no, proceed with caution. It takes strength to bring companies together, and an acquisition will put a substantial strain on the acquirer’s resources. Ask, “Do we expect this deal to solve a systemic problem?” If so, an acquisition probably won’t solve that problem; rather, it will complicate the situation. In general, before you make a deal decision, start with questions about the current culture of the buyer. Better to clean your own house before inviting other people to live in it with you! In the end, you’ll have the culture you shape. Whether you do it systematically or haphazardly, as a board member, your actions will sculpt the character of the organization. Decisions about the Five Essentials of the Deal—vision, talent, operations, financial synergy, and culture—will form the foundation. Prepare for things to happen in a simultaneous fashion, not a linear one. Think about how a deal should, ideally, unfold. Then work backward. 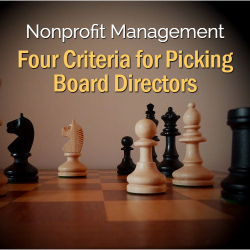 February 25, 2019 By Linda Henman, Ph.D.
History has taught us that the prerequisites of nonprofit board success—courageous leadership, bold direction, clear goals, and a systematic approach to implementation—can also provide a recipe for disaster. The reason? Decision-makers must make choices with far-reaching consequences based on assumptions about what that future will look like. Of course, this paradox has always existed—nothing new about an inability to prophesize about the future. But one thing has drastically complicated the landscape—the future arrives much more quickly now than it used to, and many of the guests it tows along are neither invited nor welcome. Many board members feel unsure about their ability to create a credible strategy to boost their own performance and to influence the performance of those working in the organization. Yet, the best plans to improve productivity come from pragmatic business leaders who willingly consider alternative futures for their organizations. This doesn’t happen automatically, however. 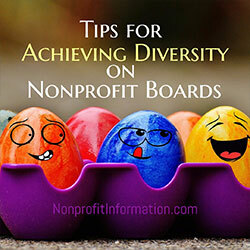 Board members must painstakingly address how to link mission to margins to create a stellar board that capitalizes on the organization’s unique contribution. It all starts with the organization’s mission—but it can’t end there. Before board members influence leaders on strategy formulation, they should have a clear understanding of the mission of the organization and how to tie margins to it. A mission statement should play the same role in an organization that the Holy Grail did in the Crusades. The mission defines the organization’s reason for being—the touchstone against which everyone evaluates strategy, activities, and expectations for overcoming the competition or making a unique contribution. Without one, members will diffuse resources, enable individual units of the organization to operate in silos, create conflicting tactics, and confuse customers, suppliers, financiers, and employees. In addition to defining the organization’s identity, the mission guides its development over time. Although the mission should be resistant to capriciousness, as the external landscape changes, leaders must tweak the mission statement as they recognize how to translate purpose into practice—and how to take in enough money to keep the mission relevant and alive. Most boards understand how to make what I call “Mission Income.” This money comes from the products and services the organization provides. For example, a nonprofit hospital board knows that reimbursement is key, and they may also understand how to generate income from non-hospital amenities, like coffee and gift shops. But too often they leave other revenue streams like grants, individual contributions, corporate gifts, and government funding untapped. Board productivity requires that decision makers at all levels of the organizations have the financial acumen to know what to do with the money once they have it, too. But if board members have overlooked these quantitative skills when they have recruited new members, the board will continue to struggle. Simply put, members need to know what the numbers mean, how to make sense of them, and how to use them to make sophisticated business decisions. I have often said that on any board—public, private, or nonprofit—if you can sit on an audit committee, the organization will likely build a statue in your honor. If you can chair one, they will notify the Vatican of the miracle, and you will meet the requisite criteria for canonization. That’s not too much of an exaggeration. 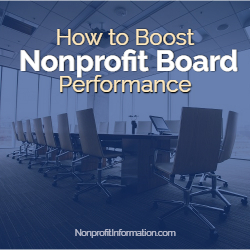 In most cases, the real challenge for directors and executives in nonprofit organizations isn’t regulatory compliance or abandonment of the mission—it’s high performance. To achieve it, directors and executives need to systematically examine the five constructs of a successful, stellar board. 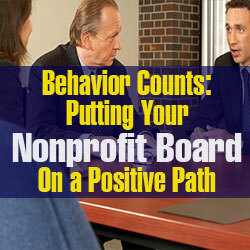 Board productivity depends on strong leadership and tone at the top. Therefore, I recommend that the chair and CEO roles remain separate. Both directors and the CEO can be more effective when the roles and duties of the chair differ from those of the chief executive. Also, when different people have these roles, the chair can act as a lubricant between the board and senior leaders in the organization, especially when inevitable conflict occurs. Board success starts with the relationships between the directors and the CEO. The the CEO should regularly disagree with the board, and robust debate should occur, but never at the expense of good rapport. Embrace tension. Move beyond the outdated thinking that the board is a necessary evil and realize that a certain degree of tension is both healthy and desirable. Contention, however, is not productive. The CEO should ask questions and question answers but all in a climate of candor and responsiveness. Trust, respect, and open communication form the foundation of any strong relationship; board relationships are no exception. Once the board has established rapport among themselves and with the leadership of the organization, everyone can focus on strategy. Too often board members don’t understand when and how they should be involved in strategy. 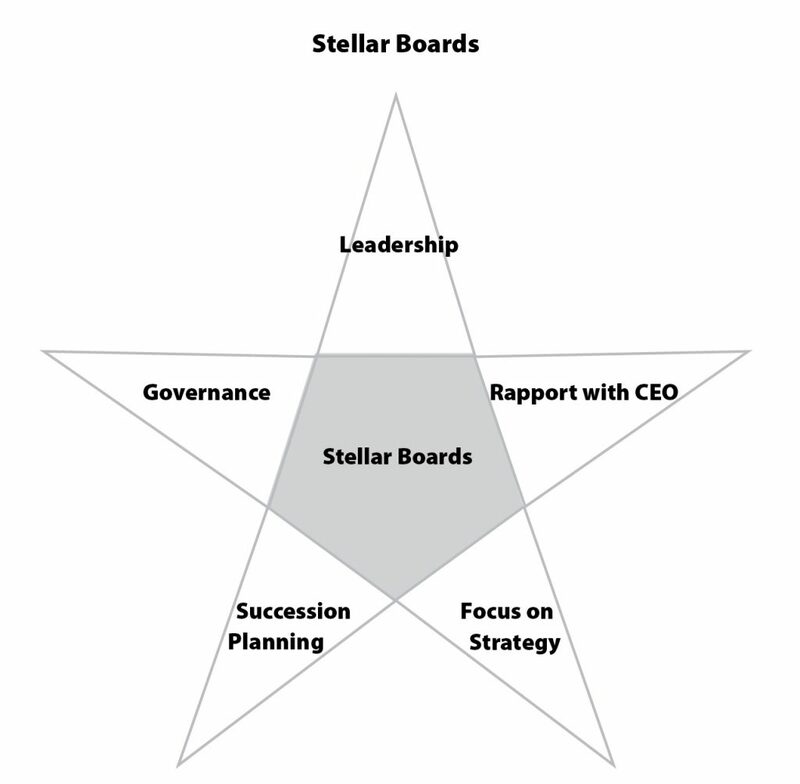 Stellar Boards don’t formulate strategy, but they maintain a clear focus on it. They assess and critique it. Like the princess in the story about the pea, members need to detect flaws deep in the strategy—not to execute but to notice and report. To safeguard the leadership pipeline, members will also want to influence succession planning—especially of C-suite positions. Members will certainly want to discuss the retirement plans for senior leaders plans, but they need to do more. They can play a more active role in setting criteria for hiring and promotion, identifying the stars in the organization, and creating opportunities to keep these people challenged and engaged. It’s all part of governance. “Governance” is one of those all-encompassing words that people use but that few can explain in concrete terms. 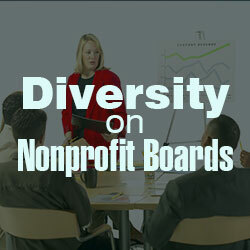 For nonprofit boards, it usually means general board oversight. Governance underpins the board’s ability to do all the aspects of its job. While strategy and succession planning address specific “What?” questions, governance deals with the “How?” It includes but is not limited to decisions about the board’s size, frequency of meetings, director selection, stakeholder relations, and social responsibility. When a board has a governance committee, those directors initiate action plans with specific timelines for implementation of recommendations. This committee should have the authority to shape and recommend policy and structure. Why do board members so frequently fail at linking missions and margins? As noted, it’s not because they don’t understand the mission. They do. Boards run into problems for one reason. 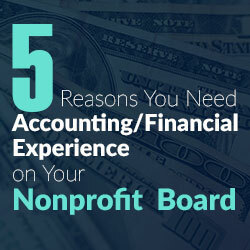 Most people who serve on nonprofit boards have a clear passion for their organizations, but they lack strong financial acumen that would help them make the margins that would ensure the mission. The remedy? Set the strategy, define goals for moving the organization forward, and become more self-directed than grant-driven.